As the news and critique continues around Ron Johnson's departure from JC Penney, initiatives implemented during his tenure continue to roll-out. 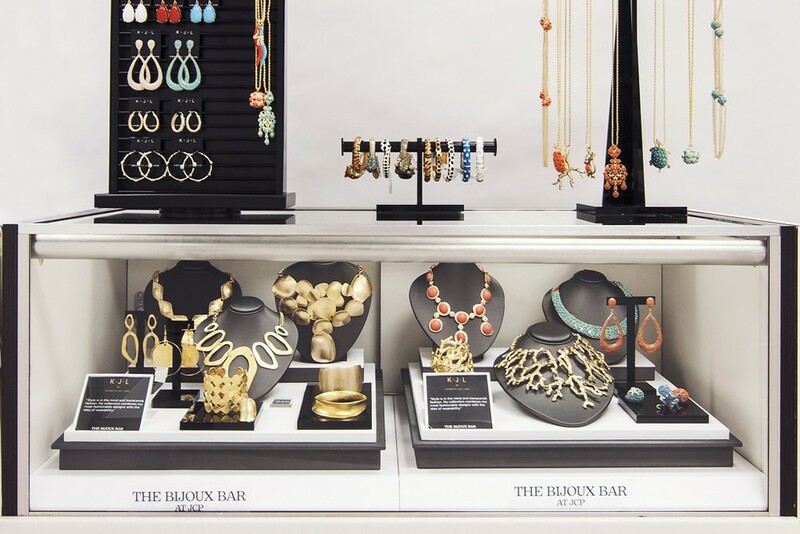 The launch of the Bijoux Bar on April 18 is expected to boost sales in a weak division by bridging the gap, both in product offering and target customers. The updated assortment will feature contemporary pieces appealing to a customer that currently is not shopping the division at jcp, and at a range of $30 to $395 which sits within their current opening range and fine jewelry. Senior Vice President Pam Mortrensen commented on the launch: "Some people call it bridge. We think The Bijoux Bar will attract a new customer and resonate with our current customers. " The Bijoux Bar will open in 650 of jcp's doors. The retailer has been challenged with core businesses for years - accessories, beauty and cosmetics. Sephora's shop-in-shop generates $600 per square foot in sales, which is three times the amount of Penney's overall 2011 productivity. Ulman, as re-appointed CEO of JC Penney, has thankfully yet to commit to a revised strategy for the brand - opting to spend some time immersing himself back in the business. With significant shop-in-shop investments to protect, discounting will likely be a continued part of the strategy to attract back customers. However, Johnson replaced Ulman for a reason - market share and stock price was declining year-over-year - with this is mind, Ulman should take the time to consider the best of Johnson's ideas. With customer engagement at only 70%, well below Department Store average of 80% , the team at jcp still has some work to do.